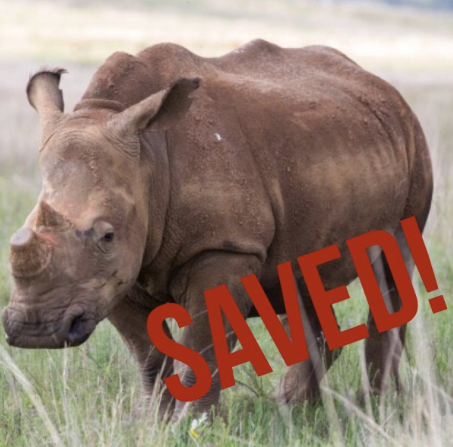 Your generosity allows us to continue our shared mission in conservation and building a humane peaceful world for all animals that we share this planet with! 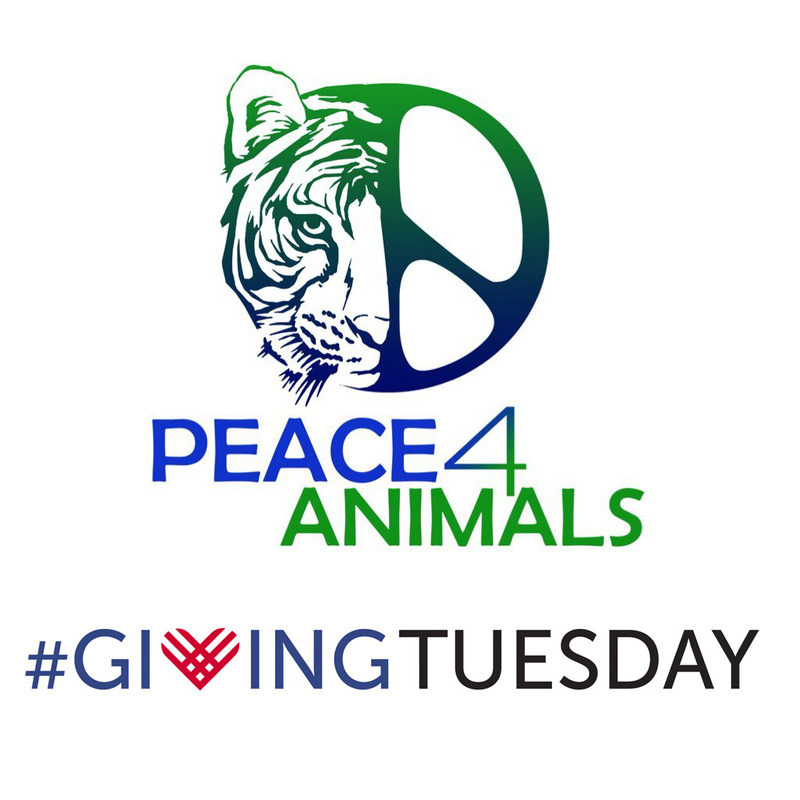 This #GivingTuesday, please consider donating to Peace 4 Animals. 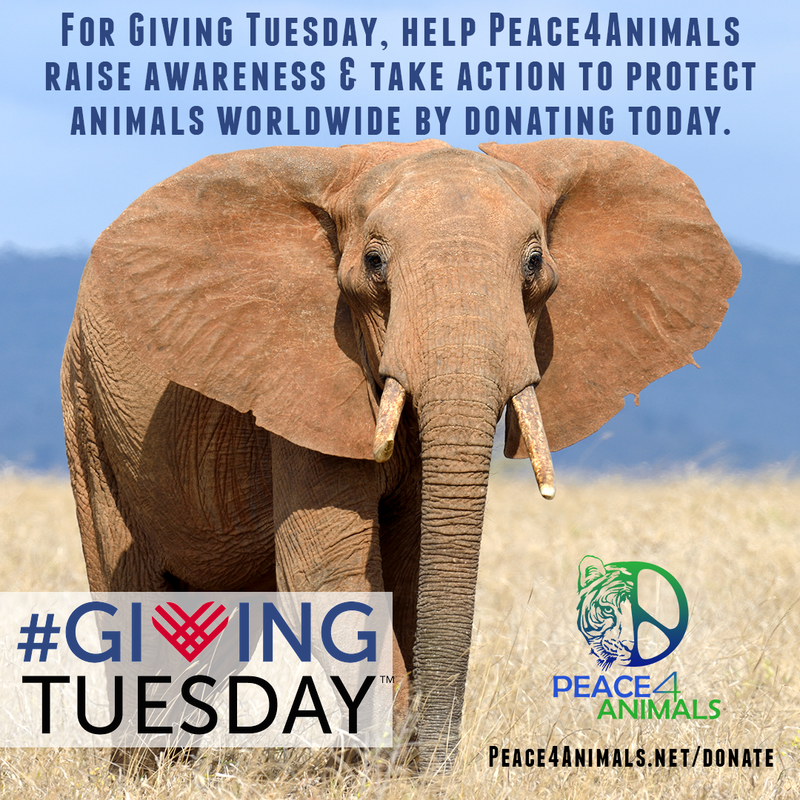 Your support today, and every day, is invaluable to our continued efforts to help save and protect animals worldwide, and to create a world where we live in peace with all of God’s creatures. 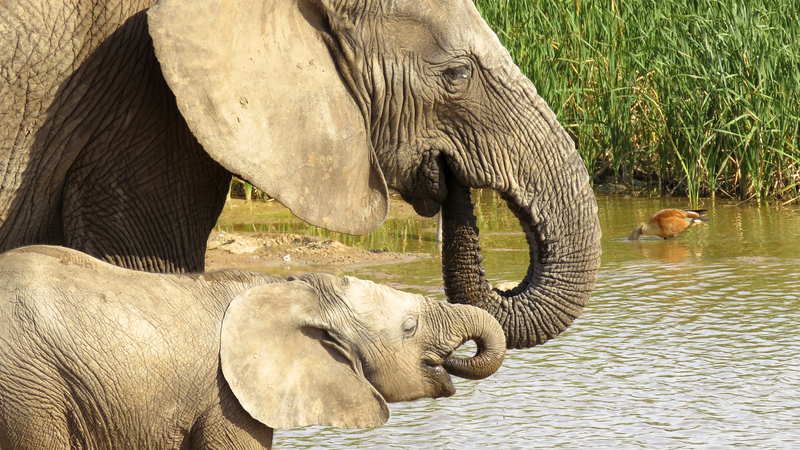 May God Bless All Of Our Earth’s Species! 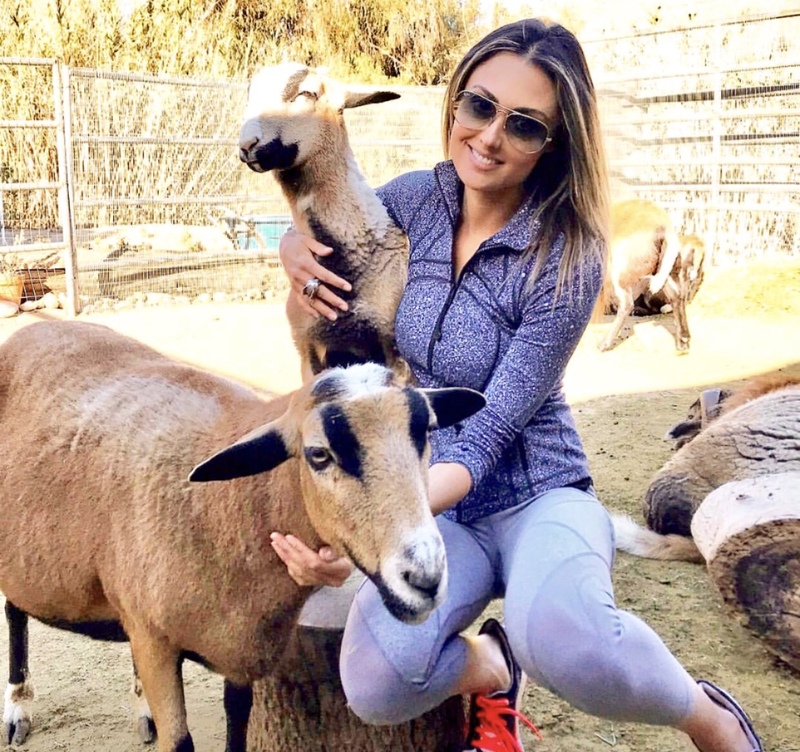 Contemporary lifestyle brand, Kut from the Kloth, has partnered with non-profit Peace 4 Animals to launch TRY5; a FREE, innovative, no-hassle, denim on demand service created for today’s busy and sophisticated woman. Kut from the Kloth is your one stop shop for couture-quality high fashion without the premium price tag. 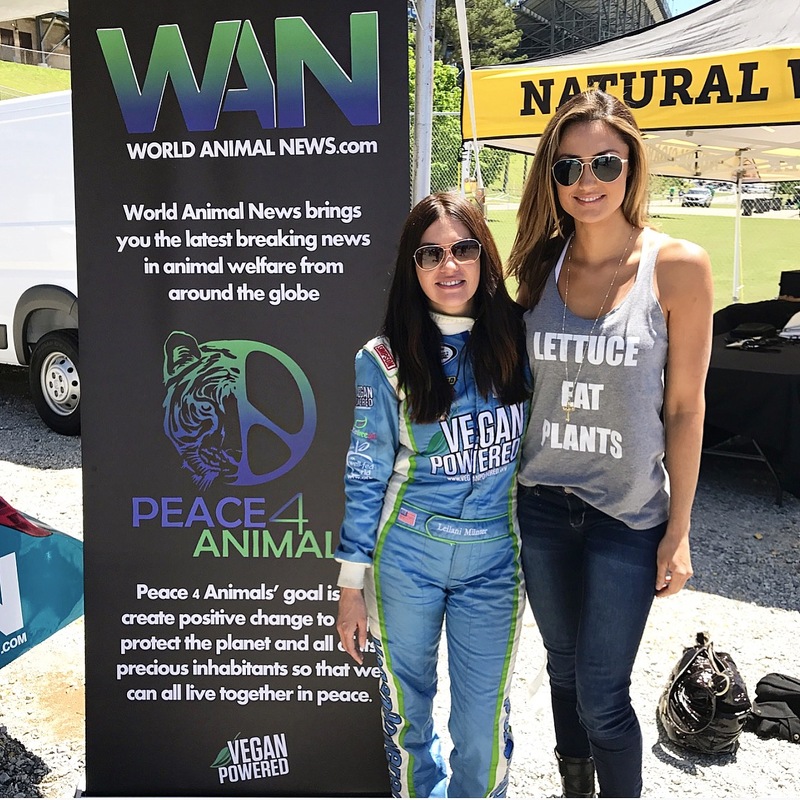 Kut is proud to announce that longtime animal advocate, model, and producer, Katie Cleary, is the new spokesperson for the socially responsible company’s TRY5 campaign and appears in Kut’s ads. 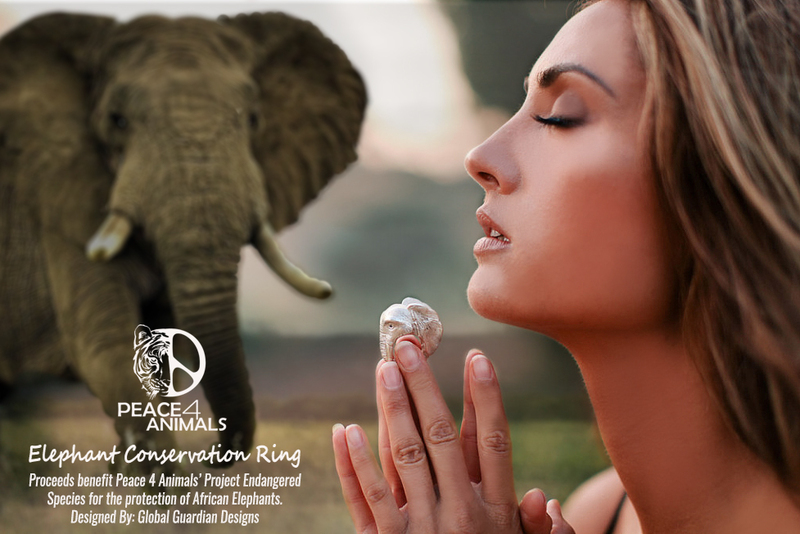 Katie Cleary, founder of Peace 4 Animals & Spokesperson For Kut From The Kloth’s TRY5 campaign to save Africa’s “big five” which are lions, leopards, rhinoceros, elephants, and Cape buffalo from extinction in the wild. With the debut of the all-new TRY5 denim on demand service, Kut from the Kloth makes trying and buying your favorite denim easier than ever. With TRY5, you pick any five jeans from the website for free to try in the comfort of your own home, and simply send back the pairs you don’t love within seven days… only then is your credit card charged for the ones you like. No subscription, no fees – just an easy, private shopping experience to grab your perfect fit. 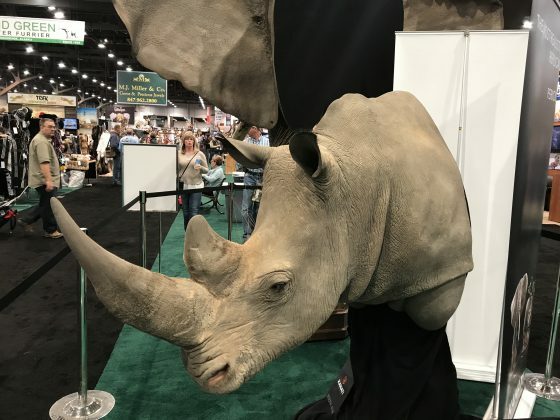 Kut from the Kloth’s TRY5 supports Peace 4 Animals on-going efforts to save Africa’s “big five”; lions, leopards, rhinoceros, elephants, and Cape buffalo from extinction in the wild. Embodying the spirit of California, Kut from the Kloth is passionate about creating exclusively LA-inspired, fashion-forward looks for today’s modern woman while giving back. 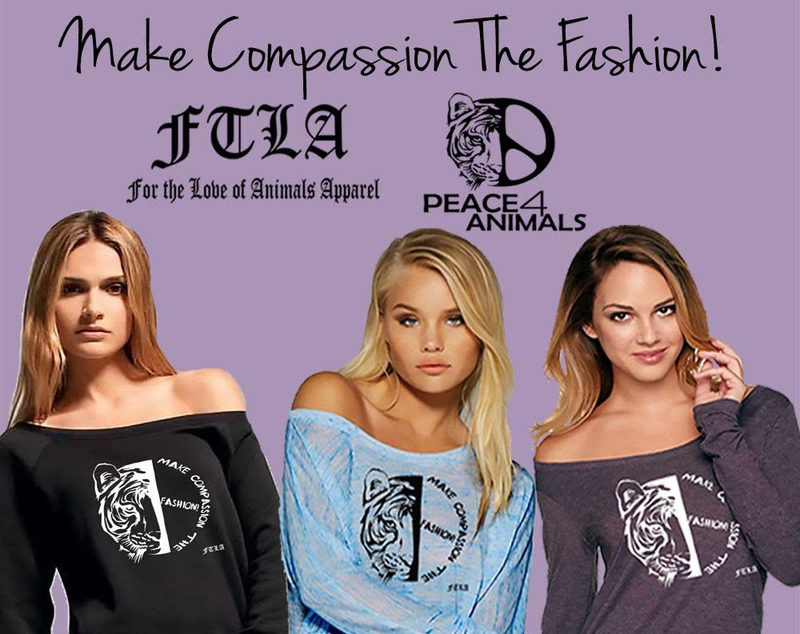 Visit Peace4Animals.net to learn more and to support the organization. Take advantage of the new TRY5 service only at https://www.kutfromthekloth.com/try_5. For all your fashion inspiration follow @kutfromthekloth on Instagram, and share your TRY5 experience! 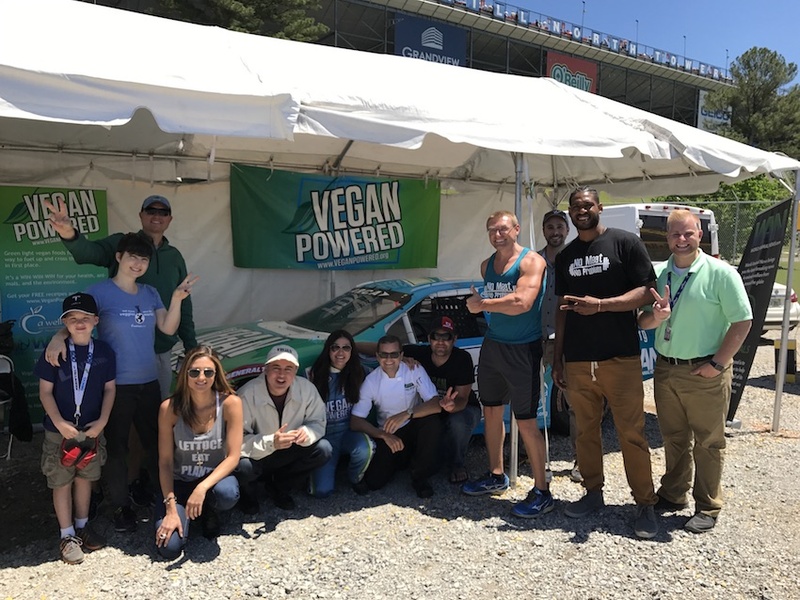 August 23, 2018, Los Angeles – Peace 4 Animals, a nonprofit dedicated to protecting wildlife, companion animals, and farm animals, as well as encouraging a plant-based lifestyle across the globe, has partnered with the nonprofit, The Sheep Heal Project, to rescue American Blackbelly Sheep and Boer Goats from a Southern California Farm that was sending them to slaughter. 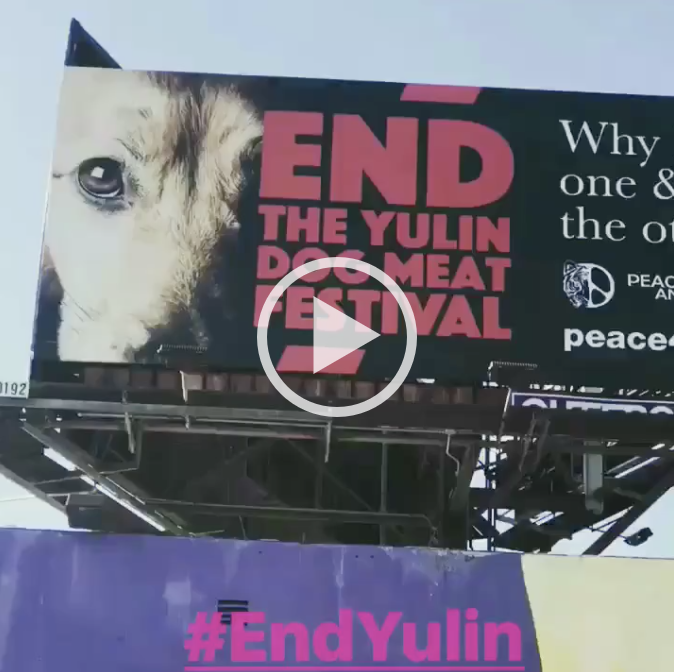 Two new billboards calling for the end of the horrific Dog Meat Festival in Yulin, China are now dominating space on Sunset Boulevard in the heart of Los Angeles. 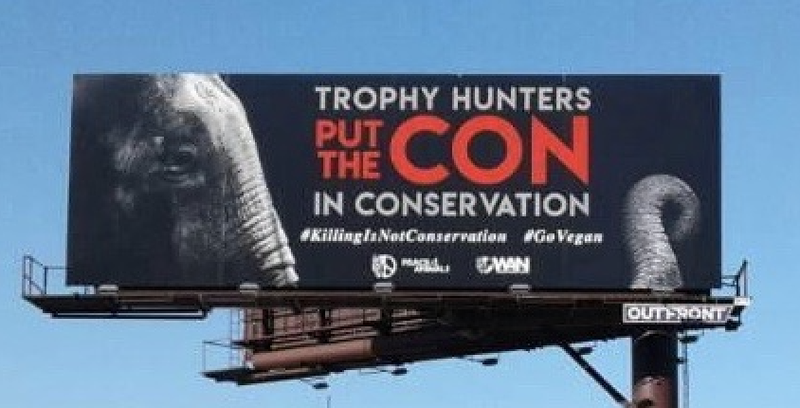 The billboards went up last night to coincide with the conclusion of this year’s Yulin Dog Meat Festival, because action and awareness must continue in order to prevent the festival from taking place again next year. 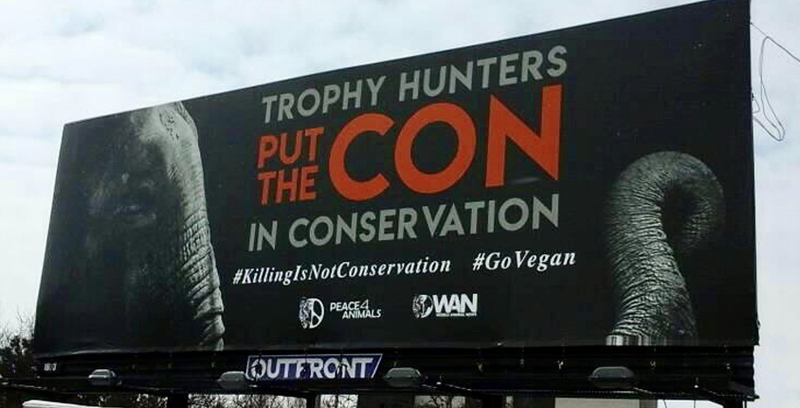 Created and sponsored by Katie Cleary’s leading non-profit animal welfare organization Peace 4 Animals and her World Animal News (WAN) network, the compelling, eye-catching signs carry monumental messages which are especially relevant during this time. 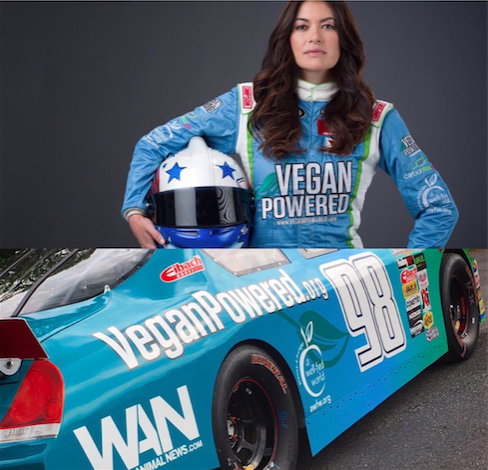 Looming over LA’s traffic are the impactful words and images that raise awareness for two of the many issues Cleary and her team relentlessly tackle every day, animal welfare and veganism; whether it be by raising funds and granting donations to help animals in need, breaking and covering animal news and issues that must be brought to the forefront, or sponsoring the first ever vegan themed racecar at Daytona and Talladega this year. 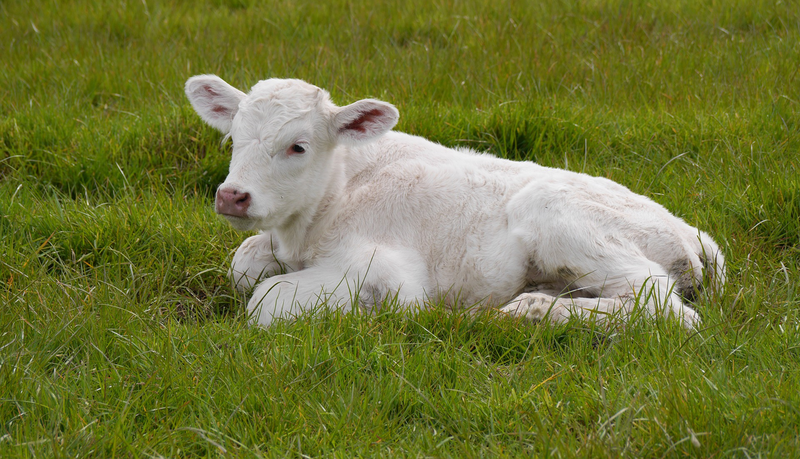 Cleary founded Peace 4 Animals in 2012 based on her inspired vision for a world where all animals live in peace and are protected against harmful human interference. 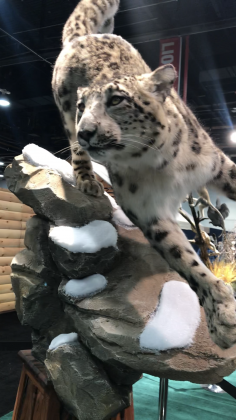 Peace 4 Animals provides awareness and campaigns promoting co-existence with wild and endangered species, as well as ways to protect these animals in their natural habitat. 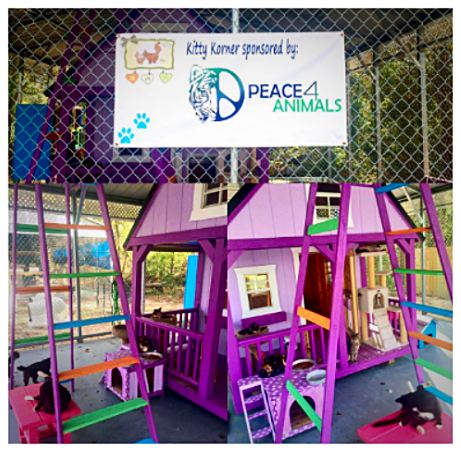 Peace 4 Animals also works tirelessly with domestic animals and educating the public about the importance of rescuing animals from local shelters, rather than buying them from breeders or pet stores. 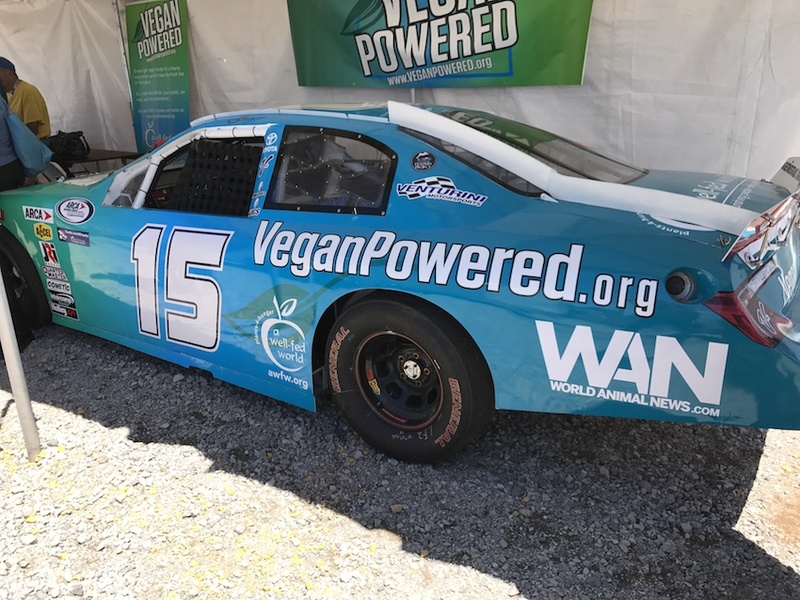 In addition, the multi-faceted non-profit raises awareness to the horrific practices of factory farming and promotes a plant-based diet and lifestyle. 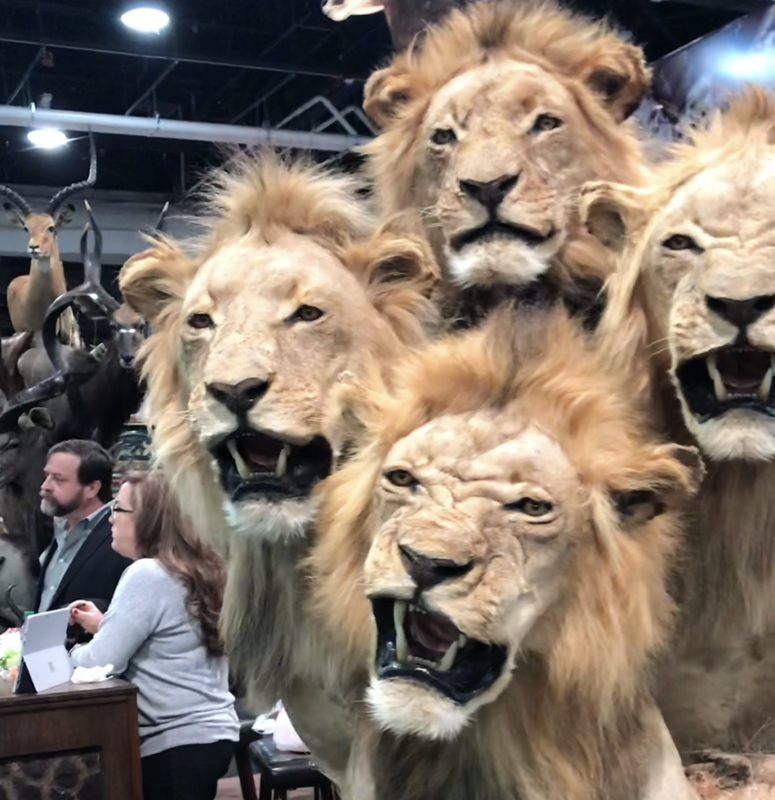 Hailed as the CNN for Animal Welfare, World Animal News (WAN) highlights the latest breaking animal news from around the world with guests ranging from top animal welfare organizations, animal experts, and celebrities who are passionate about raising awareness about the most crucial animal issues worldwide. 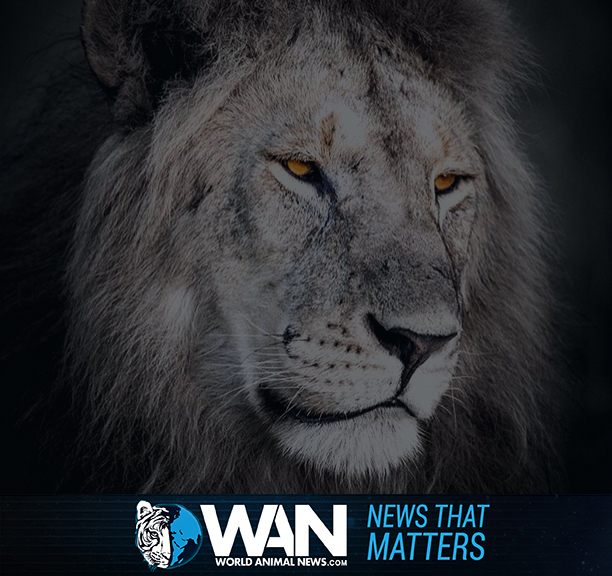 WAN not only shares the news with its gripping stories, it shares solutions of how people can get involved and make a real difference! 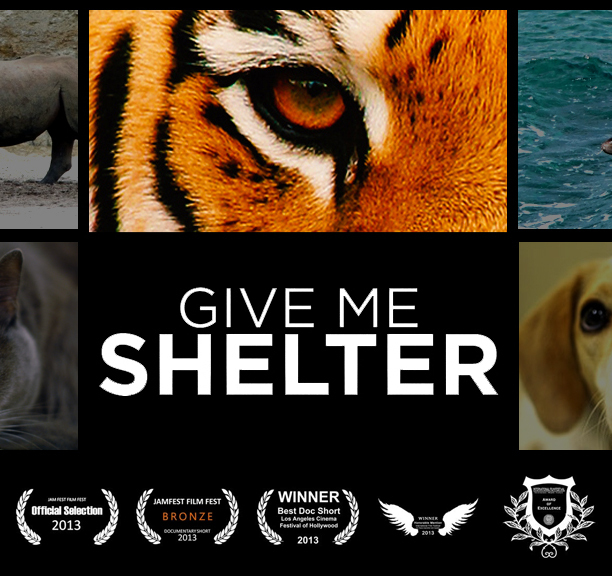 Cleary is also the creator and executive producer of the 2015 Award-Winning Documentary “Give Me Shelter” which aired on Netflix and is scheduled to air later this year on another major TV network. 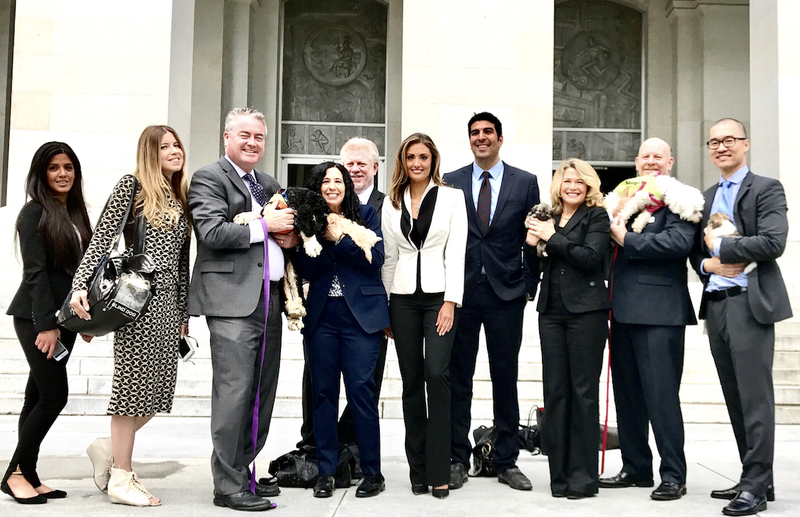 Please support the amazing work of our friend Marc Ching and his heroic efforts to stop the dog and cat meat trade by donating to Animal Hope and Wellness Foundation Here! 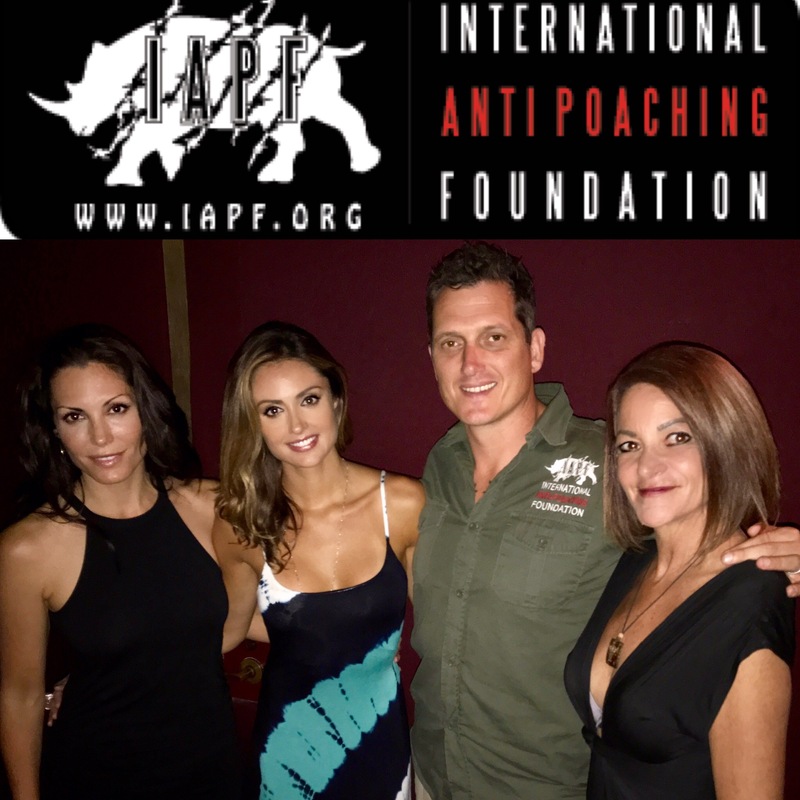 Peace 4 Animals & World Animal News is thrilled to be supporting and partnering with Damien Mander’s Incredible Organization International Anti-Poaching Foundation to save the last of our Rhinos and Elephants from extinction in the wild in Africa. 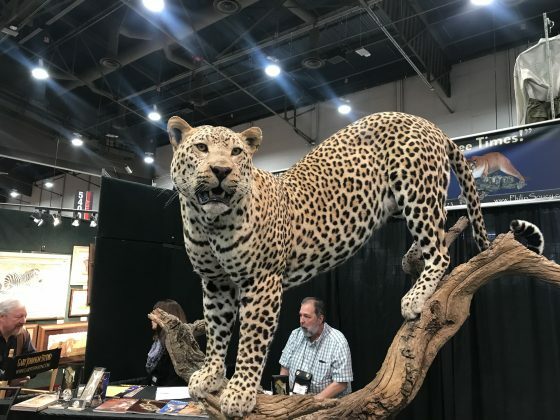 We are truly at a crossroads, one that we have never been at in the history of our planet, and have about 5-10 years left before we could lose these precious species off the face of our earth forever. I know that I won’t let that happen and Damien won’t either! The time is NOW to fight against corruption, money & greed, to do the right thing for generations to come and the future of our planet! 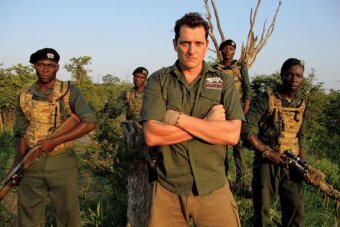 Thank you Damien and your incredible team of fearless rangers who give up their lives to fight boots on the ground on behalf of the protection of our earth’s most endangered species! 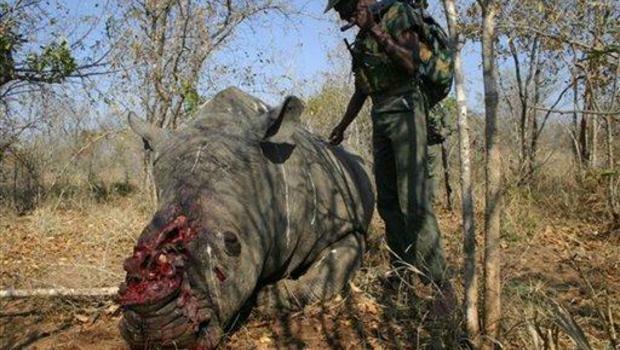 What a selfless, rewarding job it is that must be done before Rhinos & Elephants are just read about in story books! 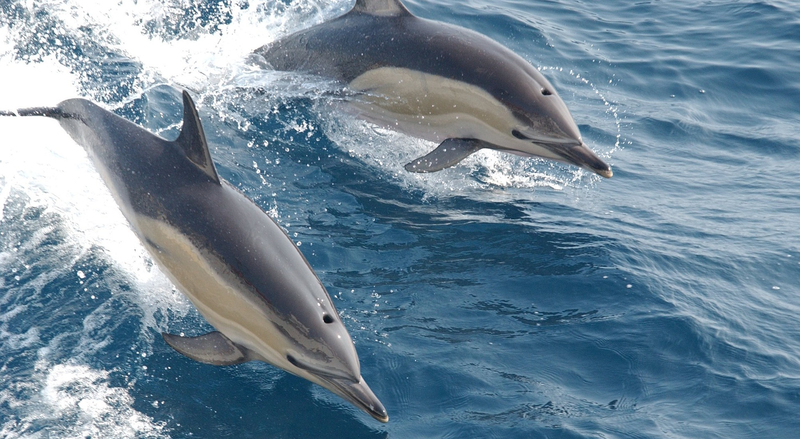 You & your team are the true heroes of our time! God Bless your journey! We are with you every step of the way! 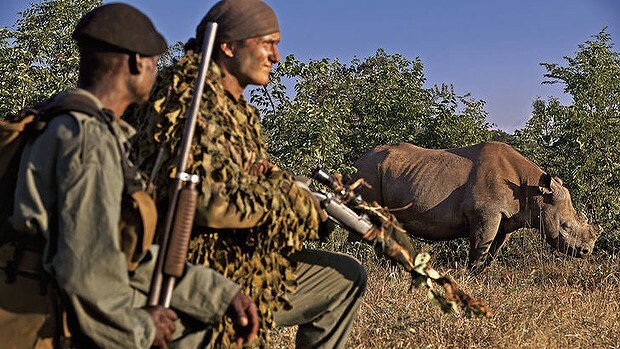 Nellie’s rough patch began after she was shot twice by poachers in 2016. 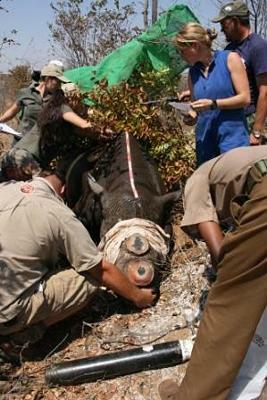 Miraculously she survived, and while being treated for her wounds, she was found to be pregnant. 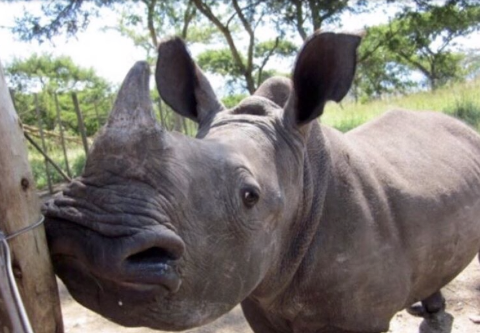 Nellie was soon sold by her owner who no longer wanted to keep rhinos on his farm after fearing more poaching attacks. 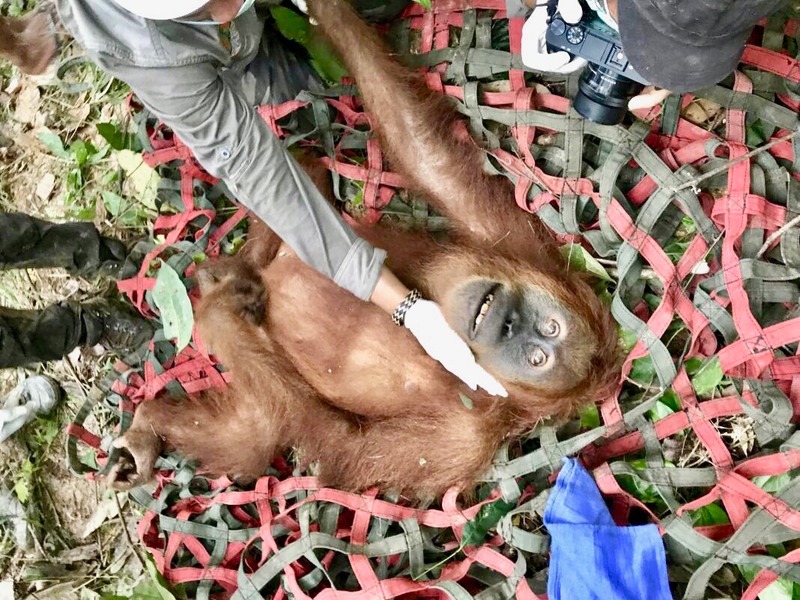 She was moved to a new farm, but sadly had not taken well to her new environment; so much so that she had developed a deep depression, possibly PTSD, which was causing stomach ulcers.